In the middle of a busy city, surrounded by traffic, concrete and glass, stands a very special tree. To simply look at it, you would assume it’s just an ordinary tree. 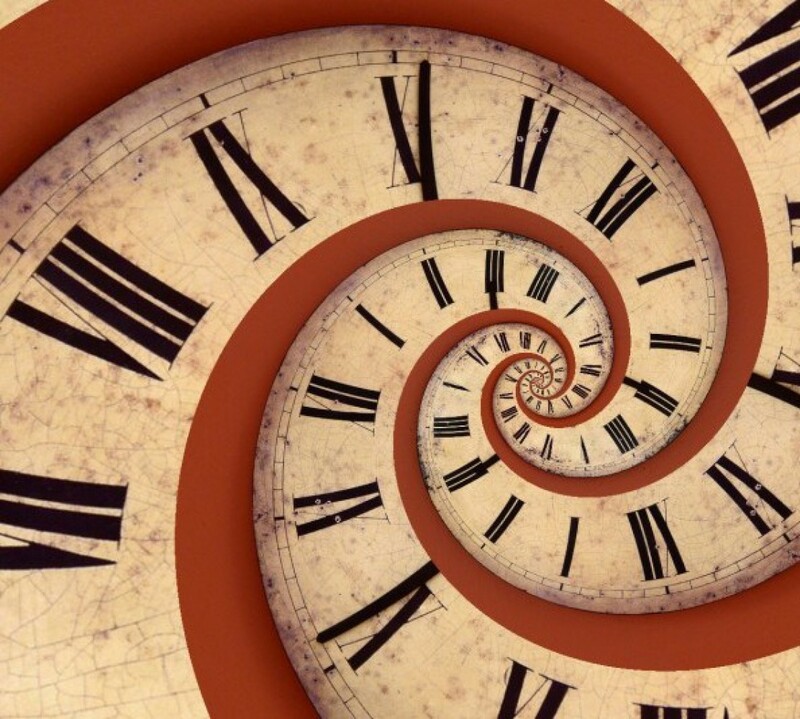 And if you did not know the history of it or the reason why it is so special, perhaps you might walk right by without giving it a second glance. It isn’t a very big tree, it isn’t a rare type of tree… yet it stands humbly and proudly in the center of America’s Heartland serving as an icon of survival. People travel from miles away to stand beneath the shade of its branches and reflect on its sheer existence and resilience. Perhaps they gain strength, perhaps they feel the freedom to surrender to their emotion and weep, perhaps they receive healing, or perhaps their chests swell with pride to be in the presence of such a cherished natural landmark. I have had the unique fortune of visiting the tree 3 times in as many years. And on each occasion when I stood at its base, examined the bark and gazed up at the sunlight streaming though its canopy, I have been inspired. Several times I have driven across this country, and while passing through I have never failed to stop in Oklahoma City and pay a visit to my favorite tree… The Survivor Tree. 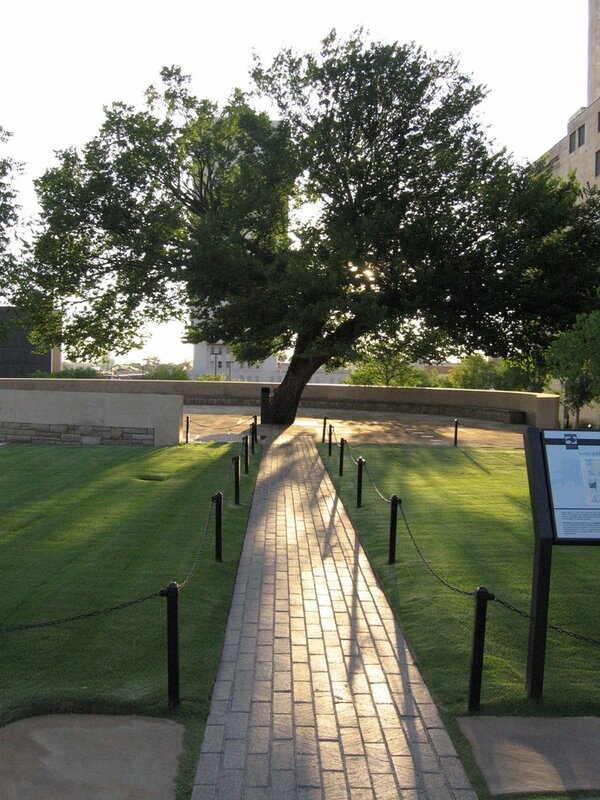 The tree got its name by surviving the bombing that occurred at the Alfred P. Murrah Federal Building on April 19, 1995, killing 168 people, including 19 children under the age of 6 and 3 unborn babies in addition. The survival of the tree was quite amazing considering that the sheer force of the blast ripped most of the branches from it. Glass and debris were embedded in its trunk and fire from the cars parked beneath it blackened what was left. Most thought the 104-year-old tree would not survive. However—almost a year after the bombing—family members, survivors and rescue workers gathered for a memorial ceremony under the tree, and they noticed something quite extraordinary. In the midst of this field of desolation and despair… this tattered tree was beginning to bloom. Drastic measures have since been taken to see that the tree is cared for and preserved in honor of those who survived that tragic day. A beautiful memorial surrounds it so that anyone who cares to may come and marvel at the wonder of the tree’s endurance. The inscription on the wall around the Survivor Tree reads: The spirit of this city and this nation will not be defeated; our deeply rooted faith sustains us. As I look back, I am reminded that my deeply rooted faith has sustained me thus far. You see, each time I traveled across the country and took the opportunity to stop at the memorial, I was never really “just passing through.” In my case, all three times found me in the midst of a personal life transition and when I approached the tree, it was always with a burdened heart. Standing on the hallowed ground of such a place, one’s mind cannot help but reflect as it reels with doubts, fears and endless questions about this thing we call humanity. But each time… the Survivor Tree stood there for me as if to say: You WILL survive this circumstance, after all… more fragile things than you have survived much deeper devastation. Your post gave me chill bumps. There’s a tree in New Orleans that has the same sort of effect on me. Ahhh… Thank you! I am glad you enjoyed this and I’m glad you shared. I haven’t been to New Orleans yet but really hope to go soon. Treme is one of my new favorite shows on HBO. I love the music and the culture. Things may never quite be the same in places anymore but the power of the human spirit and that of nature to return to “normal” is cannot be surpressed. I had never heard of this tree before, it’s the most beautiful thing I have read in a long time. So very wonderful. Thank you so much for sharing this with us. Linda, thank you so much for your very kind words. I am so glad that you enjoyed it and that your shared it. You definitely should go sometimes if you are ever passing through. It is amazingly moving.